Pork Sirloins are neatly hand trimmed of excess fat and skin, then marinated with water and salt to keep the breast meat moist and tender when cooked. 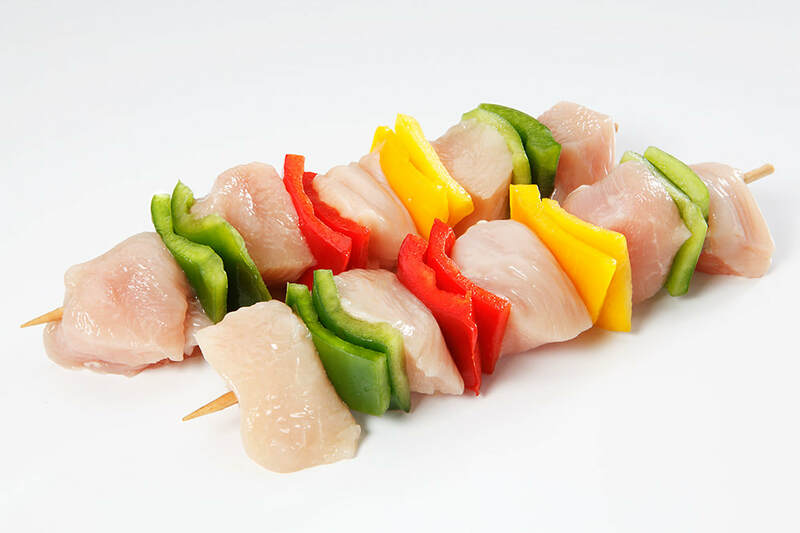 The trimmed pork sirloins are then hand cut into 1.5-2.0 ounce cubes and placed onto a wooden skewer with alternating pieces of green, red, and yellow bell peppers. Available with 4 or 5 pieces of pork.